When it comes to my beauty routine and hair care must-haves, I've always liked keeping things simple. I was raised in a house with three other women, my mom and my two sisters, and all of them taught me the art of the simple yet effective beauty regimen, a.k.a. less is more. And at the forefront of that discussion between us was always our hair. The overarching message? Be kind to your hair and your hair will be kind to you, and don't destroy what's beautiful about your hair to begin with. So ever since I can remember, enhancing my hair's natural beauty and carefully curating my hair care routine have been a priority. Which means that some of my long-used hair care tricks and tips come down to a few simple staples: use only a wide-toothed comb whenever possible, a good trim and the perfect, realistic length for your hair type will work wonders for your hair's overall appearance, a great shampoo and conditioner are always worthwhile investment, a conditioning mask once a week is always a good idea and the most important piece, using a good, lightweight leave-in restorative product on my ends when I get out of the shower will always make my hair look soft, shiny and freshly trimmed even if I've gone longer than I should between salon visits. And that last part has always been the trickiest part for me. 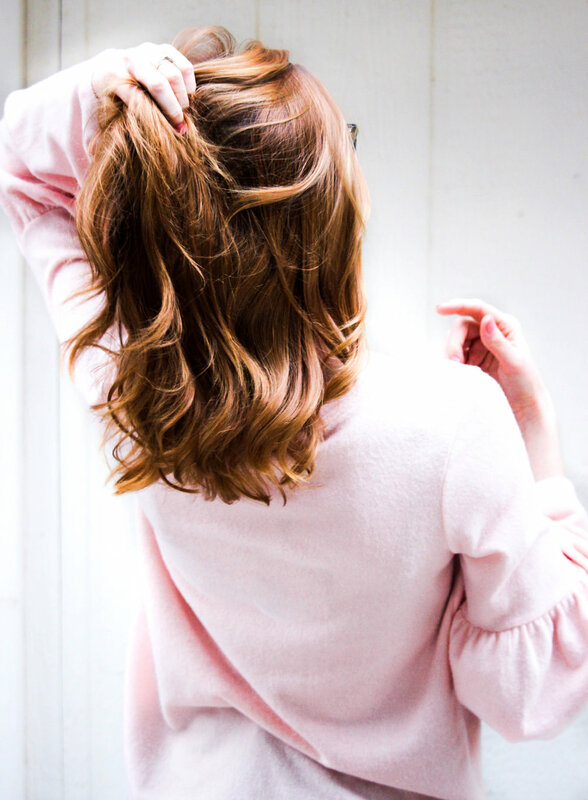 While a leave-in product that I spray or massage into the ends of my hair is pretty much a necessity if I want my hair to have that shiny, freshly trimmed look, I have soft, fine, really delicate hair and always have, so any product that I put in it has to be extremely light weight, which poses a problem. I've had such a hard time finding the perfect leave-in product because of that. So many leave-in products are heavier than they let on (or than the reviews let on) and leave my fine hair looking greasy, weighed down and like I never washed it in the first place, especially when I let my hair air dry instead of styling it with heat... which I like to do as often as possible because it wards off breakage and overall chaos for my hair. And it has legitimately taken me decades (not an understatement) to find the perfect leave-in restorative product with tons of trial and error and very few triumphs along the way. That is until I had the chance to try Living Proof's new Restore Perfecting Spray and... that all changed. Since my hair is fine, it's so easy for it to look and feel damaged, dry (especially in this Arizona climate) and like it needs a big drink of water. As hard as I try to avoid that, sometimes my busy, active lifestyle gets the better of it. 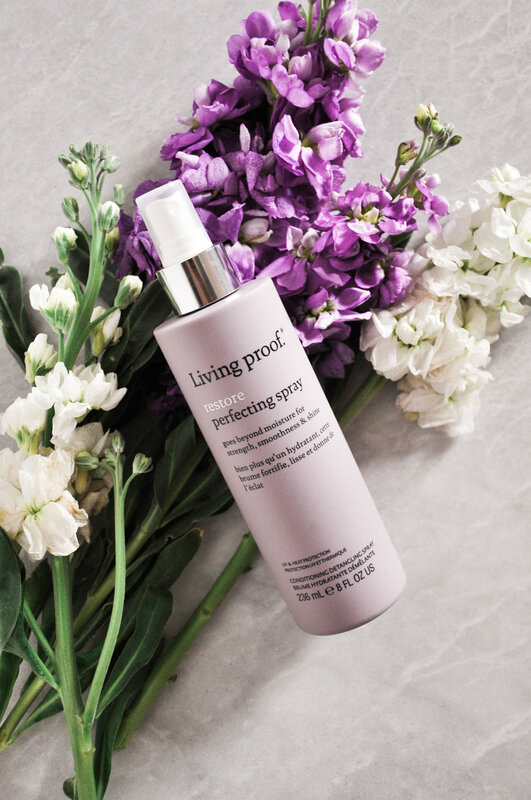 But what I love so much about this Living Proof product is that addressing that very common problem is exactly what this stuff does - it restores and renews dry, damaged hair the second you spritz it on. It also addresses another one of my fine hair's lifelong problems - damage from endless wet detangling. My hair isn't the easiest thing to comb through when it's wet and is always tangled when I get out of the shower, hence the importance of sticking to a wide tooth comb. 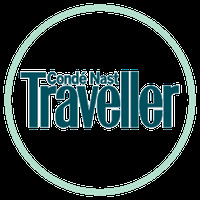 But even that alone doesn't always mean that I can avoid damage from combing out my tangled hair. I've been spritzing the Restore Perfecting Spray on my hair every time I get out of the shower for the last couple of weeks, and it's made it significantly easier to comb through my hair without breaking it and bonus, unlike most detanglers, it doesn't leave my hair looking greasy. Those qualities alone would be enough for me to give this stuff a second look, but I haven't even gotten to the best part, which is how much it accomplishes for my hair while being one of the most feather light leave-in products I've ever used. I focus on spraying my ends when my hair is wet, but also spritz the rest of my hair in its entirety to protect it from heat styling. 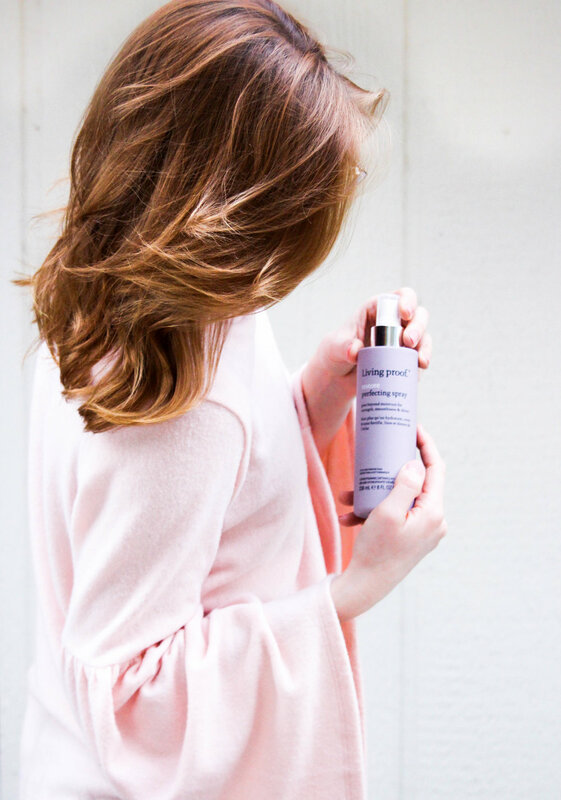 When all is said and done, it strengthens, hydrates and adds just the right amount of shine without weighing my delicate hair down. At all. 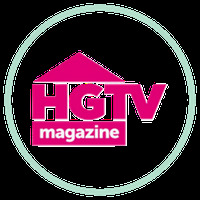 Which again, if you've used a few leave-in products before, you know how hard that is to find! I also really love how this stuff smells, which I know isn't exactly the most important quality in a hair care product, but it definitely doesn't hurt. Chris commented on how good my hair smelled on one of our date nights after I used it, and that's a pretty solid endorsement for me! I also got to try a few more awesome hair care products from Living Proof's Restore line, and honestly, my hair has never looked better. All of these pics of my hair were taken right after I used the Living Proof Restore Shampoo, the Living Proof Restore Mask Treatment (which is so, so heavenly) and the Living Proof Restore Perfecting Spray, and my hair has never been bouncier, shinier or softer. I especially love that the shampoo is safe for color-treated hair and is sulfate-free - both are qualities that rank high on my list of priorities when searching for a new shampoo, so that's definitely going to stay in my arsenal. 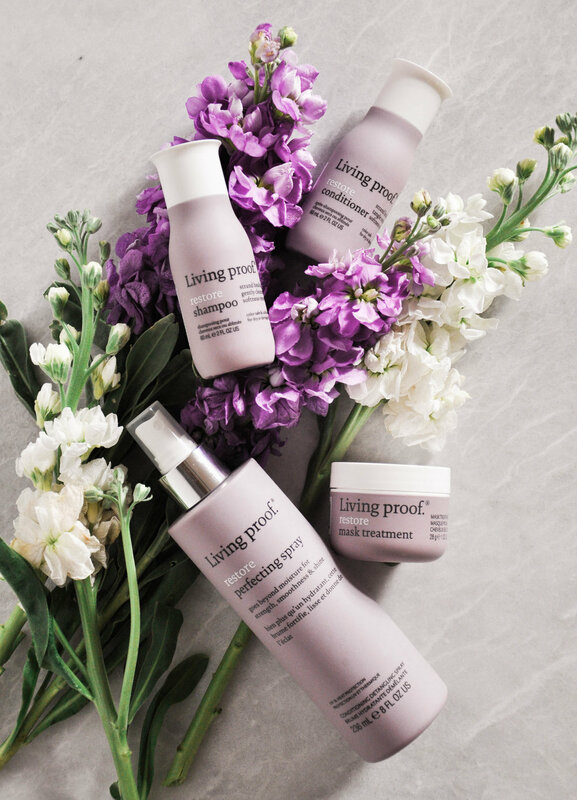 Living Proof Hair Care Products: The Bottom Line? If you're ready to have #YourBestHair and find your way to soft, shiny, run-your-fingers-through-it, just-cut hair, learn to love a wide-toothed comb, make it a habit to get regular trims with a realistic length for your hair type and pick up Living Proof's Restore hair care line as soon as possible, especially the Perfecting Spray. You'll be so glad you simplified and fortified your hair care regimen. 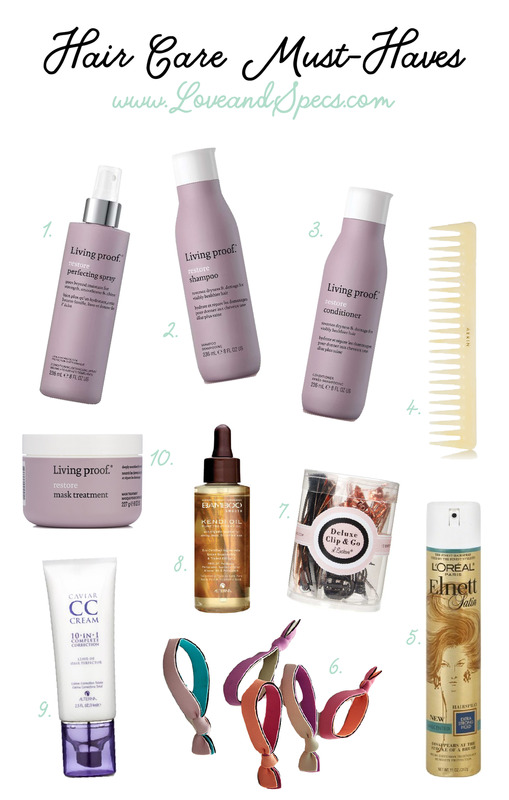 I also linked a ton of my best hair care products below that have stayed in rotation in my house over the years, including the Living Proof hair care products I'm currently loving. 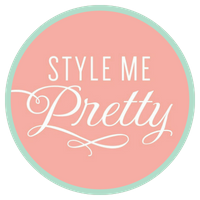 And don't forget to drop me a comment in the comments section and let me know what your must-have hair care products and tools are - I can use all the tips I can get! 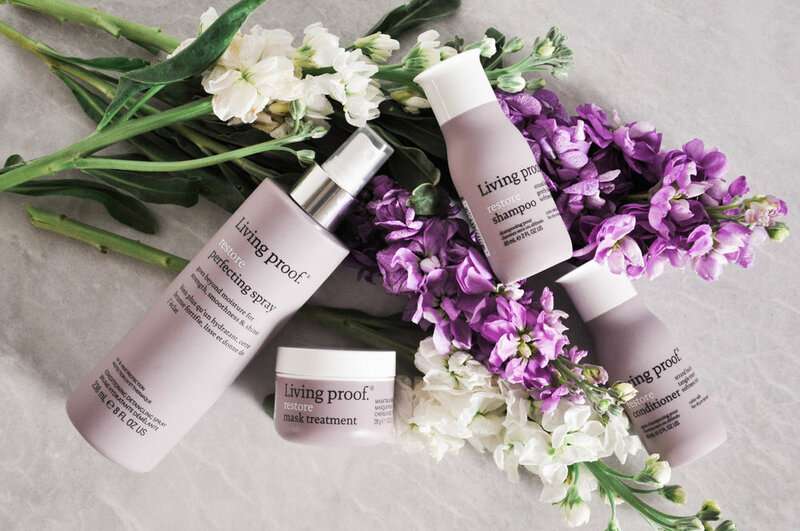 I received Living Proof products complimentary in exchange for my honest opinion. All opinions are my own.